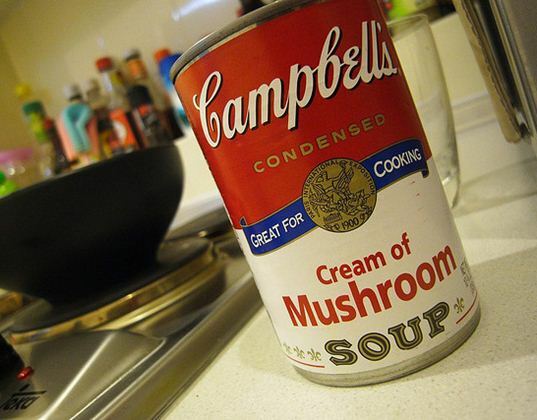 Campbell’s Soup was just one of many canned food companies to come under attack last year due to higher than average bisphenol A (BPA) amounts found in their soup cans. Thus, you can imagine our delight when Campbell’s announced their plans to to phase out BPA can linings in March. Now though Healthy Child Healthy World has brought up an important question – what exactly will Campbell’s be using in place of BPA? So far Campbell’s has kept quiet on what they plan to do, so Healthy Child Healthy World begin urging readers to head over to Campbell’s Facebook page to pose the question and maybe get some answers. The result – individuals have been shooting over to Campbell’s Facebook page in droves, asking, “What will you be replacing that BPA with?” Props to Campbell’s for actually leaving the comments up, because often companies simply erase the hard questions off their social media pages. In not so great news though, Campbell’s hasn’t in any way answered the question. Does Campbell’s Know What They’re Doing? What do Other Companies Use? The Oregon Environmental Council notes that there are many safe alternatives to BPA in can linings, such as polyester coatings used in place of BPA liners or as an overlay on BPA undercoating, natural oils and resins, oleoresin (a natural mixture of an oil and a resin extracted from various plants) or Tetra Paks. However, the availability of such alternatives can be problematic, plus sometimes, there’s simply no decent can-based alternative available due to the type of food. 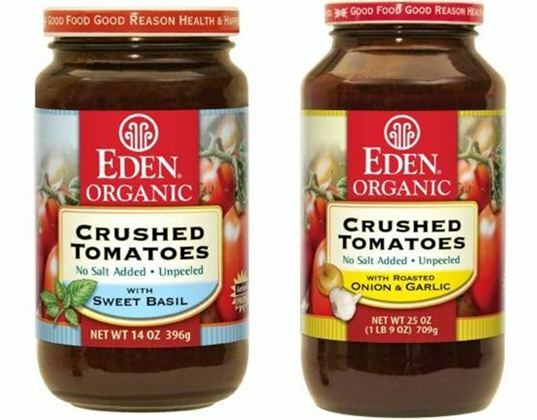 For example, Eden Foods notes that they use BPA Free Amber Glass Jars for their tomatoes because the canning industry has no suitable BPA replacement lining for high-acid food like tomatoes. Eden also points out that the cost of avoiding BPA-lined food cans is a major problem. In fact, Eden Foods shells out 21% to 34% more for their BPA free cans, and these costs, we assume, are passed on to consumers. For Campbell’s, a company who seems dependent on selling cans of soup for well under $1 a pop, it seems impossible that they’ll actually find a suitable BPA alternative they can afford. Still, it’s not like Campbell’s is alone. In 2009, Green Century released a Seeking Safer Packaging report (pdf) that scores companies on how they’re responding to increased consumer concern about BPA in cans. The Green Century report found that while most companies are in fact researching BPA lining alternatives, none have actually managed to find and use an alternative. If you’d like answers, head over to Campbell’s Facebook page and pose the question yourself – “What are you replacing your BPA can linings with?” They can’t stay quiet forever. What Will Campbell's Use to Make Their BPA-free Can Linings? 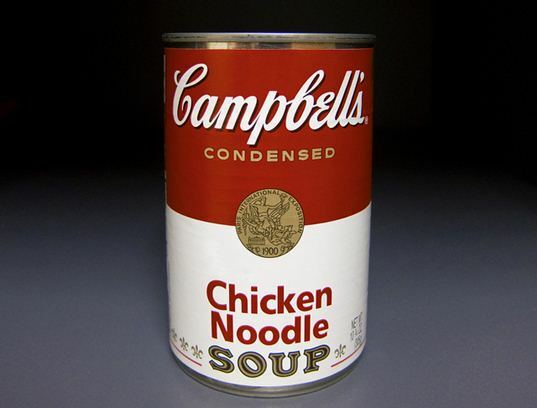 Campbell�s Soup�was just one of many canned food companies to�come under attack last year�due to higher than average�bisphenol A�(BPA) amounts found in their soup cans. Thus, you can imagine our delight when Campbell's announced their plans to to phase out BPA can linings in March. Now though Healthy Child Healthy World has brought up an important question - what exactly will Campbell's be using in place of BPA? So far Campbell's has kept quiet on what they plan to do, so Healthy Child Healthy World begin urging readers to head over to Campbell's Facebook page to pose the question and maybe get some answers. The result - individuals have been shooting over to Campbell's Facebook page in droves, asking, "What will you be replacing that BPA with?" Props to Campbell's for actually leaving the comments up, because often companies simply erase the hard questions off their social media pages. In not so great news though, Campbell's hasn't in any way answered the question.